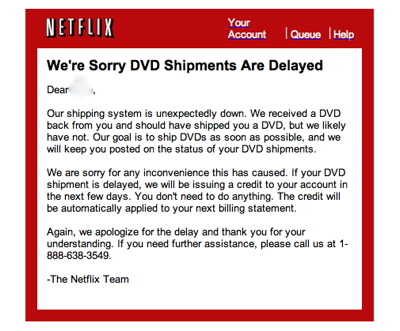 It really all started on Tuesday and Netflix reported that it would be resolved by Wednesday. It would appear though that the problem still exists. Netflix then sent out e-mails with a picture of an apology statement.